As experienced mobile device users, we all know that battery life is key to good user experience. Many mobile phone producers focus on the device’s memory capabilities, screen quality and cameras in the advertising campaigns, and the batteries have a second role in how cool a smartphone is. However, a battery is what makes your device “mobile” in the first place, and, thus, its quality is crucial to any device’s success and longevity. Nowadays, we can see two types of mobile phone batteries: built-in and external, or portable. The built-in battery is the one that comes with the phone and is incorporated in it when you buy it. A portable battery can be additionally purchased and used on the go without electric sockets. The first built-in batteries were the only way to keep the phone charged. They were made of nickel cadmium and could serve a perfectly long life since the devices were not that advanced and not a lot of battery power was consumed. A drawback of nickel cadmium batteries was that they had to be completely discharged, and then charged back to 100%, in order to function well, otherwise the device would slow down. The next big step was the lithium ion batteries. They were much more durable and could function at full capacity even while being partly charged. The costs were a bit high, but they were compensated by its durability. Nowadays, phones use either lithium ion or lithium polymer batteries, which are the most cost-effective and efficient. However, with the rapid technological progress and the complexity of modern smartphones, even the best batteries fail. The rule of thumb is: the more advanced your smartphone model is, the more you have to recharge it. The main reason for that is the battery is composed of an electrolyte, an anode, and a cathode, and lithium is not found in the anode. The current lithium-ion batteries (including iPhone 7) use graphite for the anode, and they are already reaching the limit of what they can hold. New materials need to be used in order to substitute graphite, however, scientists have not yet found a viable alternative. Modern smartphone batteries last 8 hours on average, depending on application usage. Battery life is reduced to a minimum with the constant use of Wi-Fi, Facebook and Twitter applications which run non-stop, and music players. The best solution to short battery life up to date are portable batteries. They use the same materials and technology, and let you recharge your device on the go through USB or micro-USB connection standard. The latest development in this market is the Double E portable battery, designed by Zheming Zhu. What makes it special is that it is not only energy efficient but also environmentally friendly. Double E transforms the movement into electrical energy, so you do not need electric sockets anymore. This is a great solution for both offices and outdoor environments. It can also be charged via micro USB. 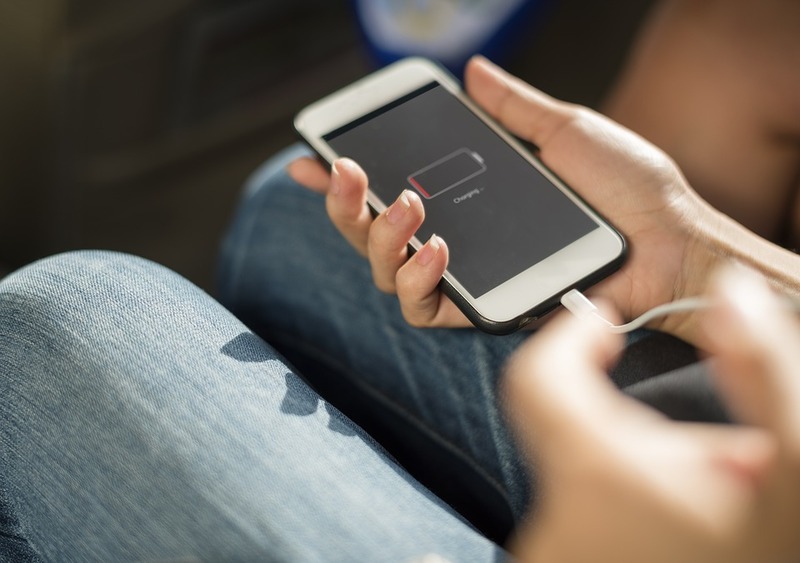 As we can see, technology is constantly moving forward, and battery life is one of the burning issues that we will need to solve quickly in order to enjoy high-functioning mobile devices of the future.